Apple’s first California-themed Mac OS X release, the OS X 10.9 ‘Mavericks’ (details here), was unveiled yesterday at the WWDC 2013 opening keynote, introducing a host of new features like tagging for documents, multiple finder windows and multiple display support, improved Safari, all new Maps and iBooks for OS X and much more. 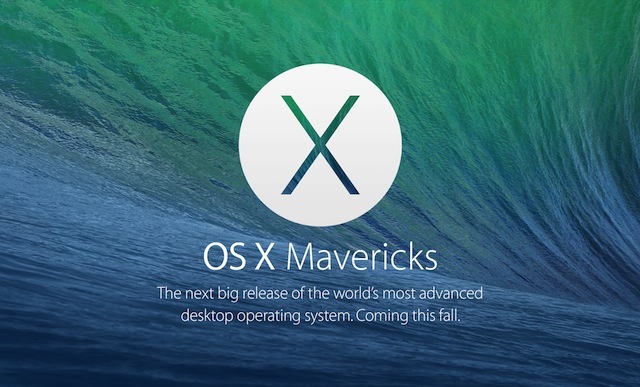 For those wondering if their Mac hardware will be able to support the Mavericks, OSX Daily has published a list of compatible Macs and system requirements to run the latest OS X release. Macs must have a 64-bit Intel CPU and an advanced GPU to run OS X 10.9, additionally, at least 8GB of available disk space is required for installation. An internet connection is required to download OS X Mavericks. It must be noted that notification syncing feature will require iOS 7 to be installed on the mobile devices to function. Similarly, features like OpenGL 4, accelerated scrolling, AirPlay Mirroring, AirDrop, PowerNap, and some other performance enhancements may require newer Mac models for full support.